Zinfandel Lodi - Red Californian Wine Brazin scoffs at lesser wines. Bountiful rich, dark berries fuse with plums and figs, punctuated with notes of vanilla, mocha and pepper. The first sip of this decadent treat demands another - its so shameless, so irresistible, so brazin! 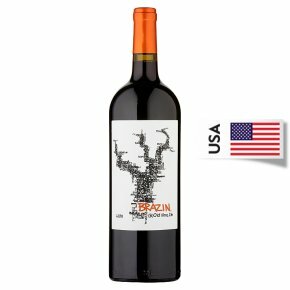 Brazin lives for the excitement of discovering Zinfandel's bold, adventurous beauty. Our Lodi Zinfandel is crafted from head-trained Zinfandel vines that range from 40 to 100 years of age. Our relationships with these family-owned vineyards have endured for two and even three generations. Serve at room temperature in Bordeaux glass Don't be bashful with your pairings. Be Brazin! Serve with slow roasted bone in country pork ribs, grilled chili-rubbed flank steak, or pasta with Italian sausage and black olives.